There’s truly not a more fascinating way to explore history than through the photograph – for me anyway. Something about the haunting richness of images from the late 19th & early 20th century draws me in, irresistibly. No filmmaker seemingly can pull off the complex period realism of the documentary image, save for maybe Jack Fisk or David Crank. And nobody has compiled a more extensive online collection of these images than Shorpy.com. From self-portraits, to promotional images, to street photography, these works reveal how common bicycles once were for many classes of people. This is something I’ve always felt strongly about the bike – that it wields to power to enable marginalized communities in ways we’re only just becoming aware of. Knowing this doesn’t hide the signs of racial or gender divides also revealed in the photos selected below, yet it’s encouraging to find such cycling diversity anyway. What the Hell was Leon Panetta Doing in Portland? It’s not every day Portland is graced by the presence of a bonafide war criminal. This week, though, we were in luck. For just one day, one Leon Panetta was in town by invitation of the supposedly progressive Portland State University. If you’re unfamiliar with him, don’t feel bad. I’d rather spend my days not thinking about mass murderers, too. Leon Edward Panetta was a congressman, serving as Bill Clinton’s chief of staff, as well as head of the CIA and Secretary of Defense under the Obama administration. 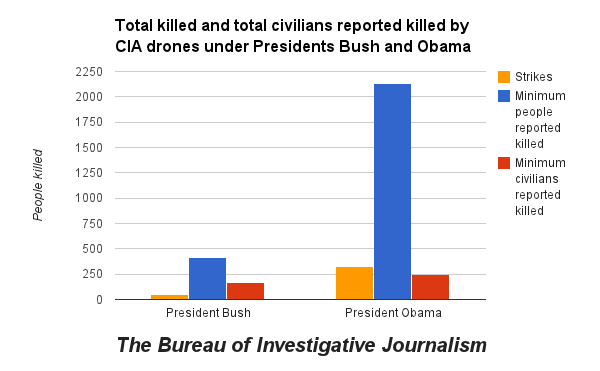 As head of the CIA, Panetta oversaw the exponential expansion of Obama’s extralegal drone strike program. Nobel laureate and socialist Malala Yousafzai has condemned the lethal program for simply creating more terrorists, having killed over 2,400 people, a great number of which were civilians. More recently, Panetta’s been draping himself in a great many Israeli flags while making threats against Iran. Change we can believe in. Source. You probably haven’t been keeping tabs on Hong Kong’s ‘Umbrella Revolution‘ orchestrated by Occupy Central activists demanding democratic rights to freedom of assembly and the right to open elections. And why would you? There’s been an almost complete media blackout here in the US as the Ebola/ISIS/Dept. of Fear 24/7 “news” cycle does its diligent job of distracting us all. As in Cairo, Istanbul, London, Kiev, and Ferguson, the people of central Hong Kong are rightfully rousing the rabble, waging a street rebellion against anti-democratic forces – and against HK police obliged with putting down this popular democratic uprising. They are the armed thugs whose job it is to inflict brutality against their own people, ensuring the ‘peace’ and ‘order’ of status quo are not disrupted.